Our Rooibos Shea cleansing bar is milky caramel in colour and laded with tons of amazing skin properties. Rooibos is packed full of antioxidants, and is anti-inflammatory, too. 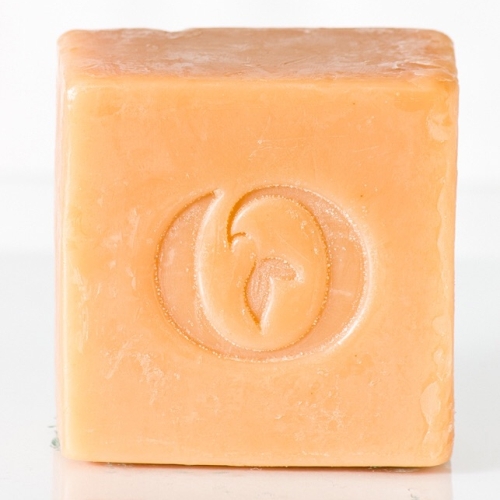 Rooibos extract is used in this soap for its mineral goodness. Shea Butter is the current buzz word in the beauty market, and this is no surprise - it is packed with vitamins A, E, and F. Shea Butter is highly moisturising and softening, and ideal for dry skin types. To complement the moisturising qualities of shea butter, this bar contains avocado oil which is very moisturising and an ace ingredient for dry skins. Notify me when Moisturising Rooibos Shea Facial Cleansing Bar ~200g is available.